Providing fabrics in BLACKOUT, FIRE RETARDANT, WASHABLE as well as a huge choice of SCREEN MATERIALS, you are sure to find a solution from our huge selection of blinds and fabrics. 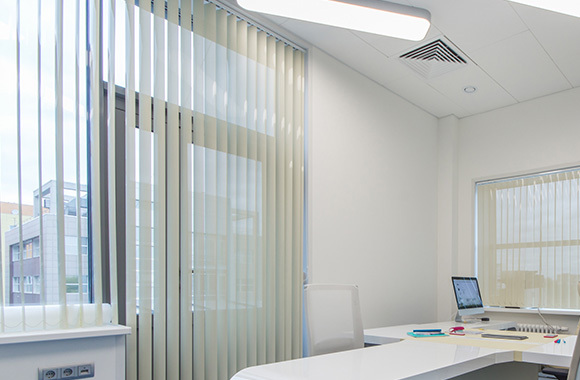 All blinds, vertical, roller, Venetian, etc are supplied with all the current developments to fulfil the Child Safety laws, giving you peace of mind. There are many control options including manual, motorised, and crank handles on the rollers.